It is the responsibility of the individual participants to obtain any visa or transit papers needed to participate in the 2019 World Forum. All fees incurred in obtaining a visa are the responsibility of the participant. 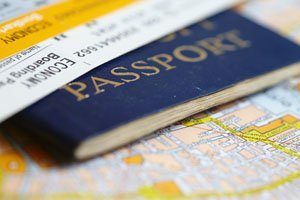 Passport Requirements: All visitors to Macao must hold a valid passport (as with most countries, you will need at least 6 months validity on your passport) or a valid travel document. Exempt Countries: Passport holders from the 66 countries listed below are exempt from a visa to Macao for a certain period of time. If you are a resident from one of these countries, you will need ONLY your valid passport (with at least 6 months validity) or a valid travel document to enter Macao – You will not be required to fill out the visa on arrival application form listed below. In an effort to help you prepare, we’ve provided a sample version of the visa application form you will be required to fill out once you arrive at the Macao Airport or Macao ferry terminal. You can download this form* here. *Please note, when filling out this form, you will need to check the “Leisure/Family Visit” box under section 2: Information of Visit. For more information, please visit the Travel China Guide.